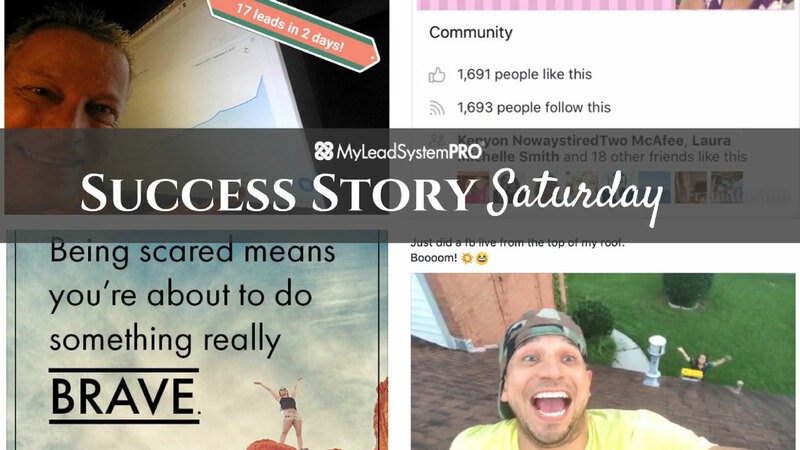 Home » MLSP News » MLSP Reviews & Results » [Success Story Saturday] 60 Online Leads and 4 Sign-Ups to Her Network Marketing Company in Her 1st Month Inside MLSP! 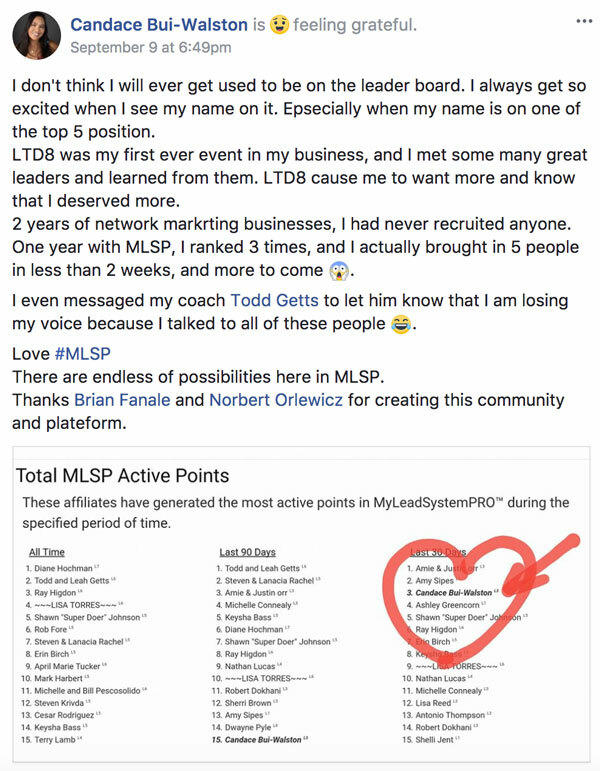 [Success Story Saturday] 60 Online Leads and 4 Sign-Ups to Her Network Marketing Company in Her 1st Month Inside MLSP! Susan Lehto Chung has had quite the first month. And 4 Sign-Ups to her primary company! Sheesh! 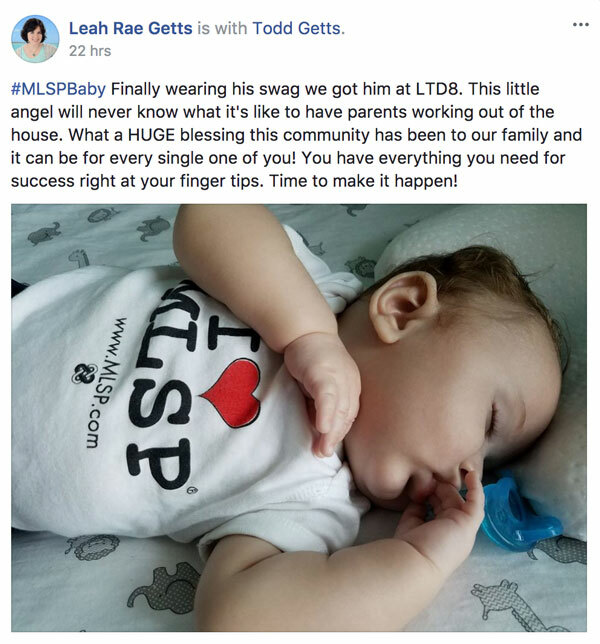 We've got another action taker on our hands here at MLSP and we love it! Keep going, Susan! Impressive and Inspiring! Louganis Take Sunia just got a nice shout out this week from Candace Bui-Walston, and he absolutely deserved it! 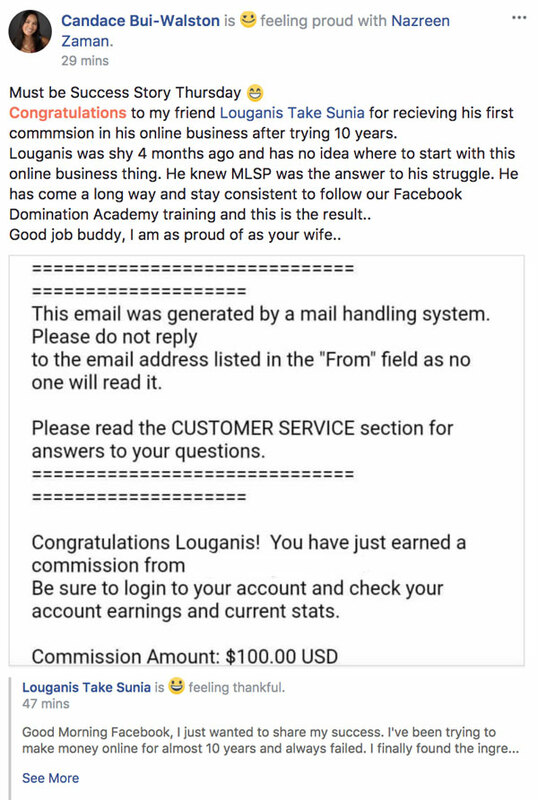 Looks like it was by the looks at the $100 commission notice that came his way! Nice work, Louganis. You've just turned a corner in your online business. Plenty more where that came through. 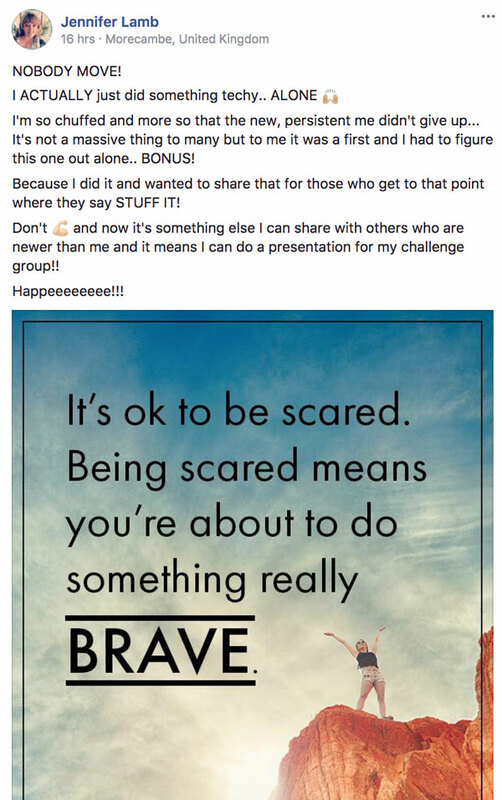 Been Struggling With Your Home Biz for Years? Is MLSP the Solution You've Been Looking For All Along? 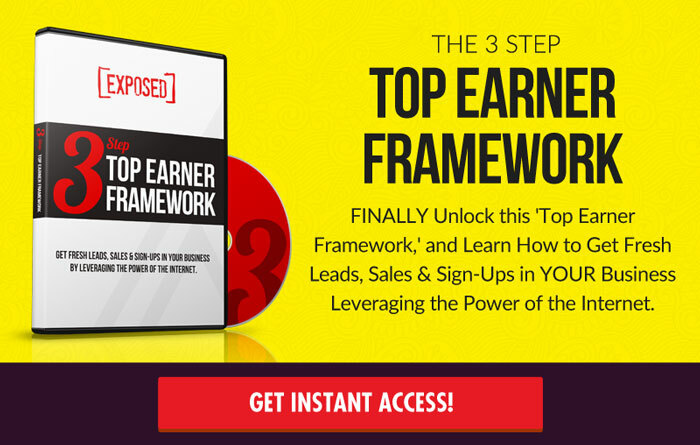 This Review Will Help You Answer That Question ==> Click Here Now! The GOOD Reason Why He Couldn't Process His Payment from MLSP? 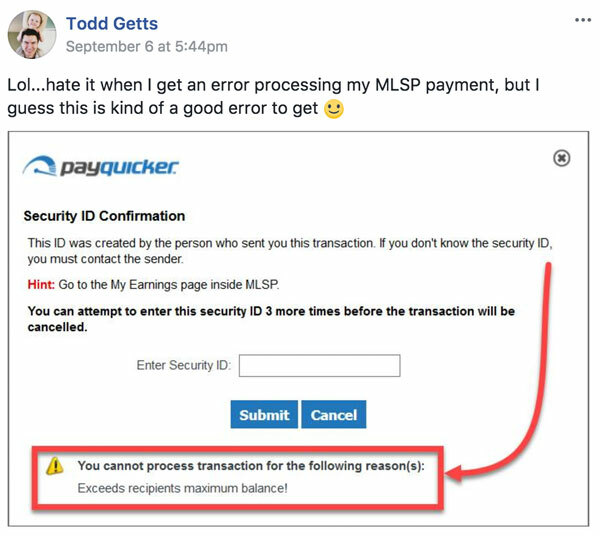 Todd Getts received an error processing his MLSP payment, but for very good reason. The message he got from PayQuicker when he tried processing? When you've earned too much commission to process it into your bank, it's a darn good problem to have! 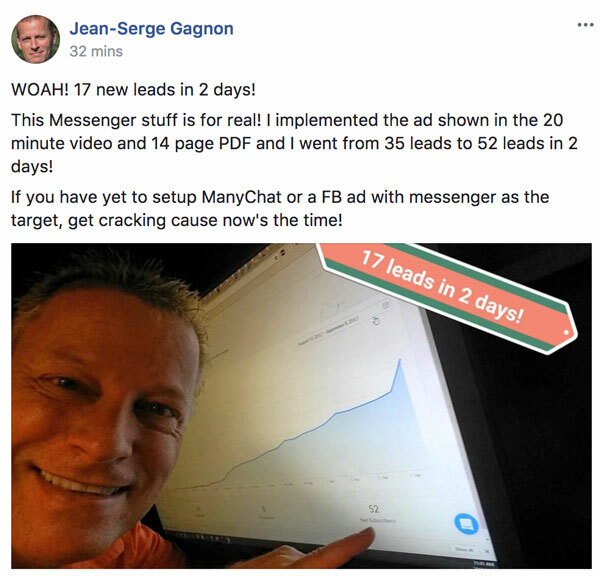 Jean-Serge Gagnon is at it again here on ‘Success Story Saturday' Blog! How'd he get those 17 leads in such a short period of time? Have you set up ManyChat or a FB ad with messenger as the target for your business? Great job for implementing what you've learned once again, Jean-Serge!!! Candace Bui-Walston has had a good year. But the first 2 years of running her business wasn't nearly as good as this one has been! Starr Davis Ferguson looks like she's living up to her name! This chick is a star! So much so that Ashley E. Greencorn had to give her a big shoutout this week, and rightly so. Starr took massive action in her first 10 days and she's already killin' it! Even better…she only posted that article 3 days ago! 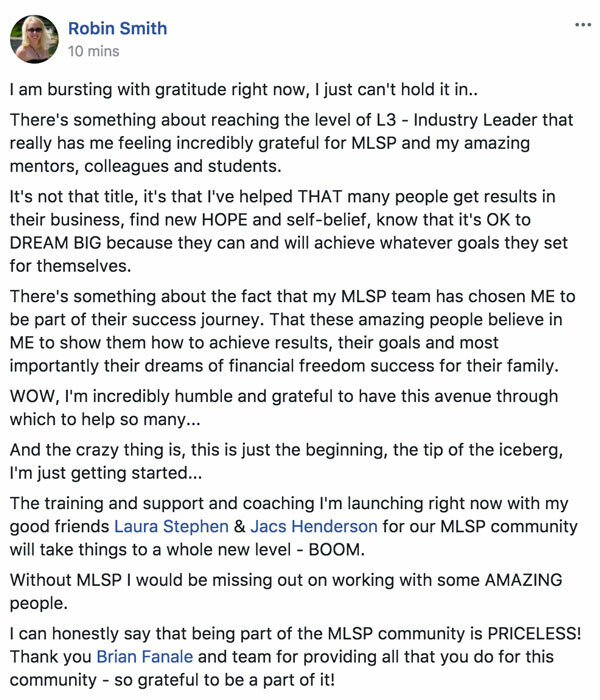 Pretty insane what Colleen Burns has going on with her business! She Got Her VERY 1st Lead During a Hurricane! Kelli Hunt was out of touch during the Texas hurricane… but that didn't stop her first lead from coming through while she was away. What a cool surprise after such a stressful and tragic event. So Susan Maghrabi did something most people refuse to do for some reason. 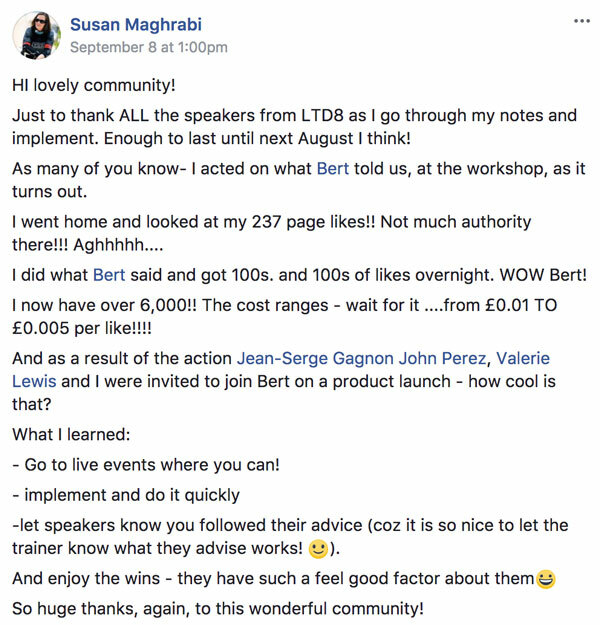 She attended the workshop at ‘Live the Dream 8‘, and then implemented what Bert Bledsoe told her to do during that worksop. And as you can see, the results speak for themselves. Pretty simple huh? Will you do it? Robin Smith hit L3, and she's full of gratitude for one of the best (and rewarding) reasons there are. Read that again and again, because that's the secret. Frustration comes when you focus on yourself, and changing YOUR life. Yet if you just put that focus on seeing how many other people's lives you can change, you get the rewards anyway. It's an easier path, and it's a lot more fun! Just ask Robin! Congrats on L3!!! Well, Jennifer Lamb is chuffed yet again! 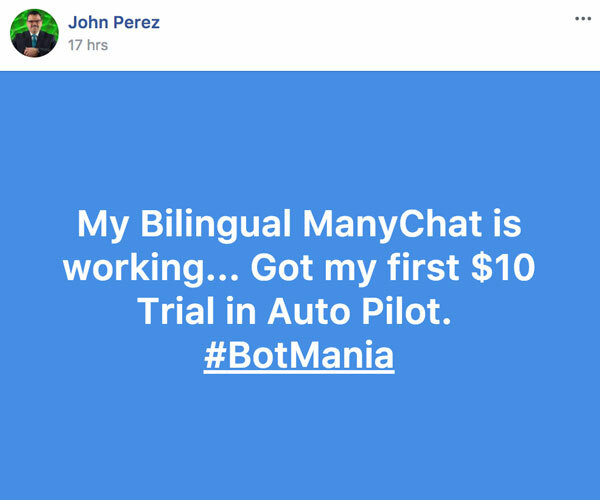 John Perez is seeing results with his Bilingual ManyChat! He took action and look what's happening. Great work, sir! 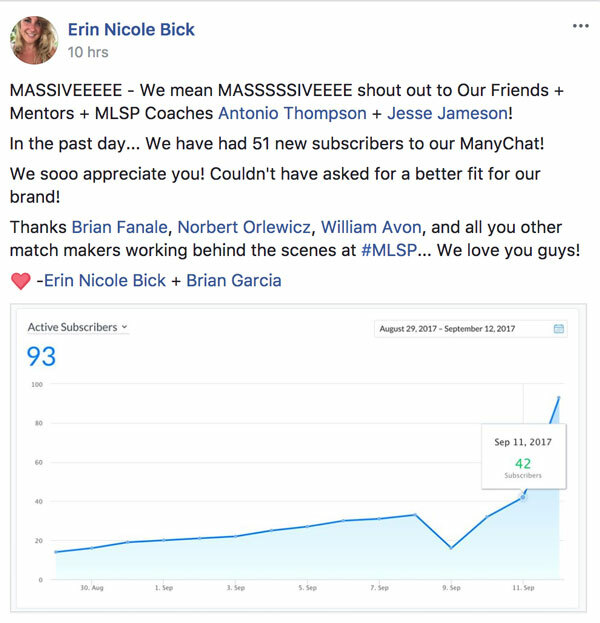 So Erin Nicole Bick wanted to send a shout out to her MLSP mentors and coaches, Antonio Thompson and Jesse Jameson! Because those are the peeps who guided her and Brian Garcia on their way to all of these new ManyChat subscribers!